Be the first to share your favorite memory, photo or story of Bige. This memorial page is dedicated for family, friends and future generations to celebrate the life of their loved one. 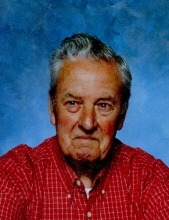 Bige Marshall, age 88, passed away Sunday January 20, 2019 at his residence in Berea, Ky. Mr. Marshall was born October 21, 1930 in Owsley County, Ky., to the late Columbus and Mattie Thomas Marshall. Mr. Marshall was retired from Ford Motor Company where he built transmissions. He loved hunting, fishing, westerns on tv, and mostly enjoyed his grandchildren. Mr. Marshall was of the Baptist faith. Mr. Marshall is survived by two children, Melody Powell and her husband Jake of Berea, Ky., Jeff Marshall and his wife Linda of Southside, Tn., and one sister Gail Locke of Hamilton, Ohio. He is also survived by thirty-five grand and great grandchildren. Other than his parents Mr. Marshall was preceded in death by two children, Connie Cope of Berea, Ky., Steven Marshall of Booneville, Ky., and by 13 siblings. Funeral services will be 3:00PM Wednesday January 23, 2019 at Grace Baptist Church 2807 Robinsville Loop in Richmond, Ky., with Rev. Jerry Powell officiating. Visitation will be 1-3PM Wednesday at the church. In lieu of flowers contributions are suggested to Cystic Fibrosis Foundation 1941 Bishop Lane Suite 108 Louisville, Ky. 40218, and Hospice Care Plus 208 Kidd Drive, Berea, Ky 40403. To send flowers or a remembrance gift to the family of Bige Marshall, please visit our Tribute Store. "Email Address" would like to share the life celebration of Bige Marshall. Click on the "link" to go to share a favorite memory or leave a condolence message for the family.